I was delighted to be invited on to Channel 4’s Sunday Brunch yesterday (Sunday 7th February) to talk about my new book Why Fonts Matter and play some classic Type Tasting games. It was a fast-paced and fun 9 minutes. 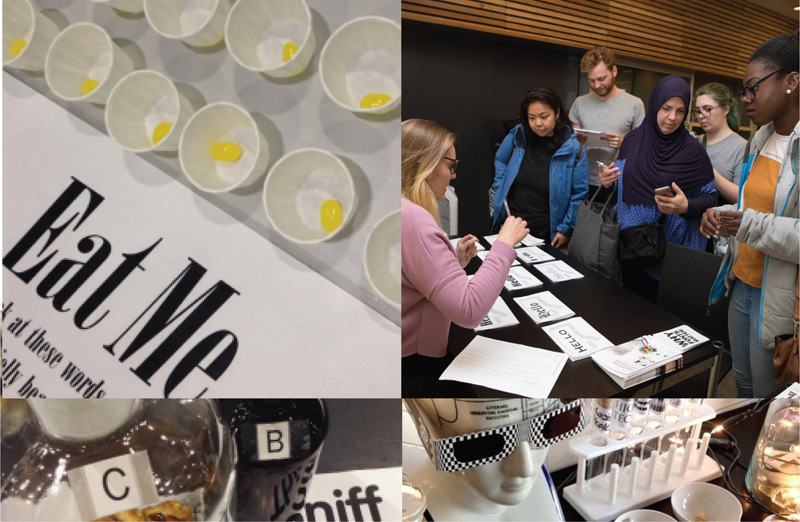 The aim had been to show that typography can be fun and accessible; that it doesn’t always have to be an intellectual discussion, and from the feedback on Twitter we achieved this. I demonstrated how type tells us how expensive or calorific a product might be. I talked about Simon choosing a typeface for his restaurant menus to convey that the chef is skilful (and discovered that he has an aversion to italics). We had a quick look at the Type Dating Game, before Tim and Simon both chose a typeface card and read out their own personality analysis. We ended with font sniffing: pairing the smells to the shapes of typefaces, and I explained why most people give very similar answers. Click here to play the Font Fortune personality analysis game yourself. 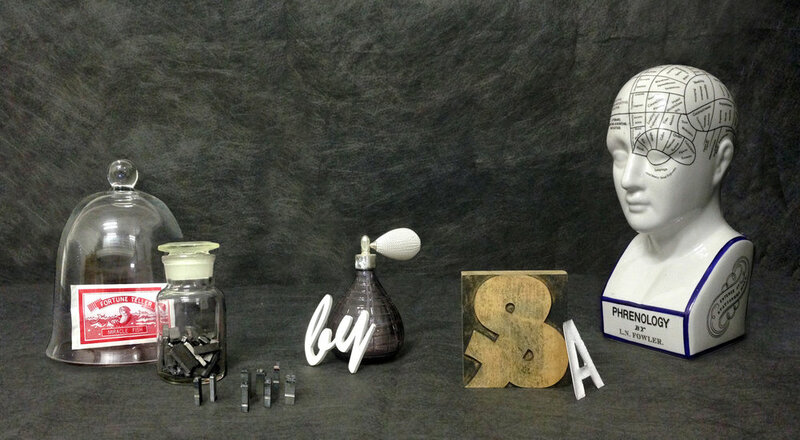 The Type Tasting props posing nicely with the Channel 4 logo in the background. The famous Sunday Brunch kitchen in the background, and the guests all ready as we are given 5 minutes before the start of the show. 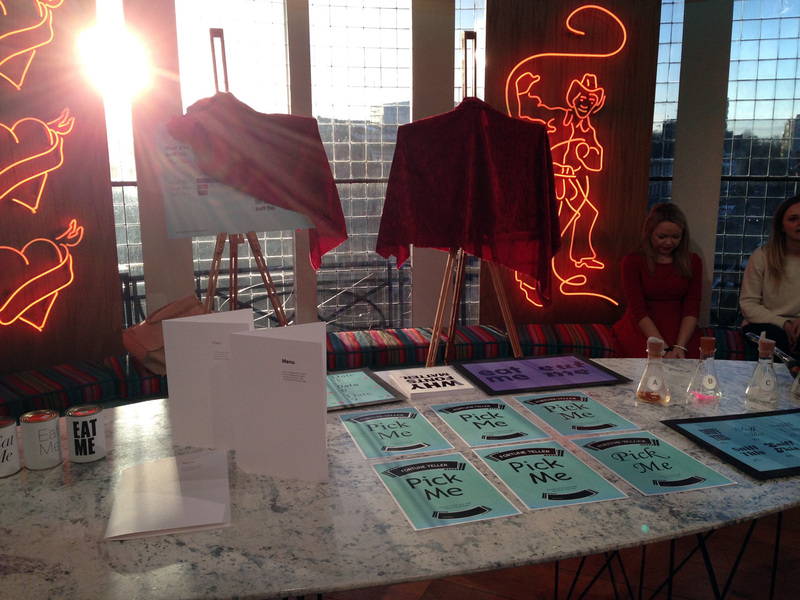 The Type Tasting games set up in the early Sunday morning sunshine ready for a quick rehearsal. Tim and Simon reading out their own personality analyses revealed by their choice of fonts. Click here to play a version of this game this yourself. Sunday Brunch is a live television show which airs every Sunday in the UK on Channel 4. 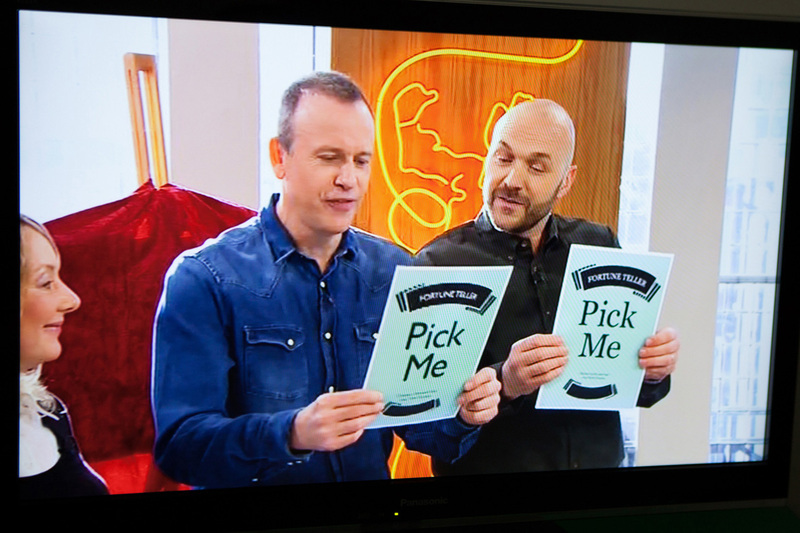 It is hosted by Tim Lovejoy and Simon Rimmer.